ISTANBUL, TURKEY. 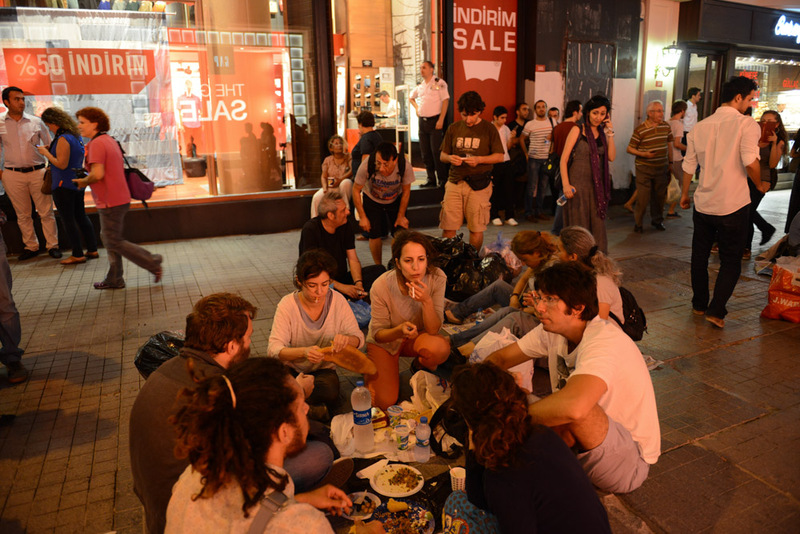 People gather for Iftar dinner on newspapers on Istiklal Street in a show of solidarity with the demonstrators that had previously occupied Gezi Park at the start of Ramadan on July 9, 2013. Since demonstrators occupied Gezi Park for two and a half weeks last month, police have maintained a heavy presence in Taksim Square and periodic clashes have erupted as demonstrators have returned to the square in protest of Prime Minister Recep Tayyip Erdogan.